Talented Violet loves to paint the world in amazing colours. But right now, Violet is feeling rather blue. Right in the middle of Crafts Week, nasty Jack Frost has pinched her magic paintbrush. Kirsty and Rachel must help this unlucky fairy track it down. Before Jack Frost and his goblins use it to create chaos! 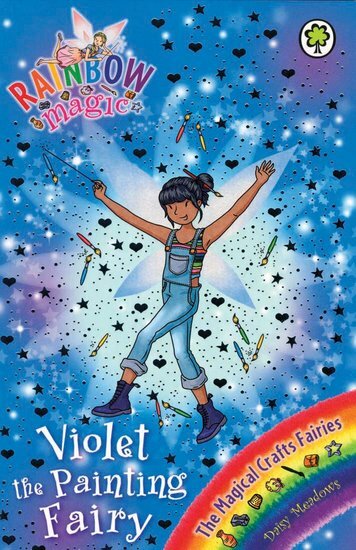 This is a book about a fairy called Violet. Naughty Jack Frost has taken her paint brush away. Everything goes wrong when the paint brush gets in the wrong hands and so Violet needs help! With the help of Kirsty and Rachel, will they get the paint brush of Jack Frost or not?